At Hurling Tours Ireland, we provide a unique experience for visitors to Co. Kilkenny. We are involved in giving visitors an introduction to our ancient national sport, Hurling. You would be mad to visit Ireland and not try our unique and ferocious sport. You will learn about the history of Hurling and how it has evolved into the fastest field game in the world, that we see today. This is all done in a Hurling team's dressing room in Kilkenny City, giving you that up-close, intense experience. Once you are up-to-date on the basics of the game, we take you on to the 'field of dreams' to try a few skills for yourself. This will be an unforgettable experience that will live long in the memory of each guest. We give everyone an opportunity to take a shot at the goalposts, and score like the Kilkenny Cats so often do. We have had visitors from many different nationalities and backgrounds fall in love with Hurling and the culture it creates in Ireland. Visitors from Canada, USA and Australia even promising to join a GAA Club when they return home. Visit Kilkenny Union Workhouse, adjacent to Kilkenny Train Station, now beautifully restored as MacDonagh Junction Shopping Centre to take this FREE audio visual self-led tour. Hear the heartbreaking and poignant human stories recorded in local newspaper articles and minute books from the Board of Guardians, a true reflection of the Kilkenny Famine Experience from the perspective of the Workhouse inmates and staff. Located under the shadows of St. Canice’s Cathedral on the Medieval Mile, the budget boutique Kilkenny Inn offers guests excellent value and recently refurbished comfortable rooms in a contemporary urban style perfect for a stay right in the heart of the city. Kilkenny Inn is renowned for warm hospitality, a peaceful location, relaxed atmosphere and great service. Casual all day dining options and evening drinks are available here at Kernel Bar and Kitchen. Close to all Kilkenny’s famous attractions including the Smithwicks Experience, Kilkenny Castle and the myriad of shops in the city centre as well as the pubs, bars and evening entertainment on offer, makes it ideal for your stay in Kilkenny. Hotel facilities include ample secure complimentary onsite parking, hotel lift for full accessibility and ensuite rooms featuring all modern guest comforts. J.J. Kavanagh & Sons, established in 1919, has developed from being one of the first private providers of public transport, into the largest privately owned Coach Company in Ireland today. With ownership spanning over four generations, we have become a nationally recognized and trusted operator. Kavanagh Cars, Executive Car Hire is the ultimate Chauffeur drive service in Ireland. Whether you are planning a tour around Ireland, looking for airport transfers, or need to arrive at your meeting in style, Kavanagh's can tailor the ideal transport option for you. Their fleet of vehicles range from elegant cars to luxurious coaches, and their professional mature drivers will ensure that your time spent with us will meet the highest standards in comfort, convenience and professionalism. Launched in 2007, Rhino Car Hire have so far provided over 3 MILLION cheap car hire quotes to our customers for both business and leisure. Join the thousands of happy customers who have booked with us and get a quote for cheap car hire today with our secure online booking facility or call us. In the heart of Kilkenny City, Mint is a Beauty, Laser and Skincare Centre. We are passionate about client care and great skin. We believe in excellence and strive to provide the highest quality of services and products delivered by a knowledgeable and friendly team. Mint offers a full range of services including facials, massages, body treatments, make up application and lessons, threading, waxing, nail treatments, signature packages. Our Clinic is focused on skincare and offers Microneedling, Alumier MD Skin Peels and Candela Max Pro Laser treatments targeting hair removal, pigmentation and more. Our skincare shop is home to Alumier MD, Dermalogica and Decleor brands. G.L. Ryan Jewellers is located in the heart of the medieval city of Kilkenny, the vibrant heartbeat of the south-east. With its narrow paved streets and pedestrianised shopping areas, lively evening cafes and nightlife. Located on High Street, the main shopping street, we are directly across from the entrance to the Market Cross, Kilkenny's premier shopping centre, with ample car-parking close by. Whether you're getting engaged or just looking for that perfect gift? At Ryan Jewellers we have been helping people find the right quality jewellery for all occasions for over 70 years. Known for its vintage inspired diamond engagement rings and jewellery, Lorimat Jewellers is a treasure trove of unique pieces for anybody looking for that something different. We cater for brides and grooms to be with a large collection of wedding rings and bridal jewellery. Handmade shaped wedding bands to fit around engagement rings are also available. All of our jewellery is made from gold, silver or platinum. Lorimat also boasts a diverse range of gift ideas that will suit all tastes and budgets. Nolan’s Jewellers carry a range of brands and jewellery items that appeal to a very wide audience. Stockists of Swarovski, Alex and Ani, Thomas Sabo, Coeur de Lion, Rebecca, Hugo Boss , Fossil , Tommy Hilfiger, Citizen, Casio, and much more. We are the sole supplier in the Kilkenny region for many of our brands and our on-site watchmaker and goldsmith can make immediate repairs to customer items. We are agile and move with the times and respond to the demands of our customers. Our new retail outlet was designed with all of our customers in mind and to ensure a comfortable shopping experience. Our location in the Market Cross is central and easily accessible with ample parking and other facilities and retail outlets all of whom are complementary to each other. Shenanigans - The Kilkenny City Walk is the fun way to experience historic Kilkenny City, the jewel in the crown of Ireland’s Ancient East. Blending comedy, magic, history, whimsical fun and plenty of Shenanigans our guides will take you on a jolly jaunt tracing Kilkenny City’s fascinating Medieval Mile, regaling you with unique anecdotes, fun facts and a good dollop of irreverent humour, craíc and mischief. Not just a guided tour ... a MIS-guided tour! The fun, magical, historical & hysterical way to experience Kilkenny’s Medieval Mile. Touch The Past history tours are delivered by Amanda Pitcairn who employs her passion for the Middle Ages and public history. More than a mere observation of old buildings, Touch The Past Tours focus on the lives of specific Medieval characters as well as life in general for the majority of ordinary medieval people. Visitors 'dive' into the Middle Ages while meandering through the lanes of Ireland's historic built heritage. Touch the Past tours are delivered in an engaging and accessible manner, providing an enjoyable and informative experience without compromising on the integrity of innate historical fact. When you visited Medieval Kilkenny your Kilkenny experience should be with a local qualified, experienced and knowledgeable guide and historian and Pat Tynan’s Medieval Walking Tour will give that real Kilkenny experience in a city that has become a Medieval Wonderland!! Daily Kilkenny Medieval Mile Walking Tours, Private Walking Tours can be arranged at a time to suit clients and group Medieval Walking Tours all year. The Kilkenny Whiskey Guild is a collection of 10 establishments throughout Ireland's Medieval capital. Each premises will stock a minimum of 60 Irish Whiskeys and will assist in the customers experience through knowledgeable staff, tasting flights, food pairings and mixology. Regular whiskey events will be held in each of the Guild Houses designed to heighten the public’s knowledge of Irish Whiskey history production and various styles. The guild aims to make Kilkenny the leading Whiskey tourism destination in Ireland. At Goatsbridge Fish Farm, trout is their passion. Their knowledge and experience farming rainbow trout has been passed down through three generations. Each catch comes daily from the crystal clear waters of The Little Arrigle River, giving their trout unique taste and texture. They love trout, and they know if you give it a try you will too! Goatsbridge Trout is available from their online shop, all major supermarkets in Ireland as well as specialist shops, or directly from their farm gate. Visitors are welcome to look around their trout farm at any time during opening hours. Come and see Goatsbridge visitor center and shop, where you can sample and buy our products. The center is located beside the trout ponds, and you can organise single or group tours around the farm where you will learn all about Goatsbridge Trout Farm, it’s herritage and business history. The Marchioness Boutique is one of Kilkenny’s longest established and one of Ireland’s best known boutiques and has a clientele from all over Ireland, the UK, Europe and United States. Marble City Barbers is Kilkenny’s oldest Victorian style barbers. At Marble City Barbers they are dedicated to providing the best value and quality service. They do this by providing high quality salon services, a unique customer focus, all in a warm, friendly atmosphere. They are a contemporary old style classic barbers focusing on quality care of their clients. They are not a unisex hairdressers - they are specially trained in cutting mens hair. On entering the premises you will see that immediately from the design, the walls covered in sporting pictures. This is the perfect place to relax and have a bit of craic while getting a quality haircut or traditional hot towel shave. From the marble countertops to the old traditional style barbershop chairs and barber sinks the decor makes you feel like you have stepped back in time while maintaining a contemporary atmosphere. 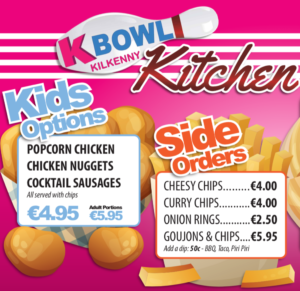 Situated in the heart of Kilkenny city and growing from strength to strength since 1994. We continually boast some of the best known branded shops and retail outlets in Ireland, including such names as Supervalu, Heatons, and Penneys, to name but a few. We as a Centre pride ourselves not only on the quality of the products and services we provide but on the fact that in this ever changing, fast moving retail environment one thing has and will never change for us, the importance of you, the customer. Red Mill’s flagship retail store as Ireland's premier shopping destination for country lifestyle brands including Fairfax & Favor, Welligogs, Dubarry, Ariat, Toggi, Le Chameau & many more. In the purpose built, state of the art premises you'll find a carefully curated selection of Country Living wares - from saddles and horse feeds, to clothing & footwear, to dog food and kennels. The Red Mills Cafe is open from 8am where you’ll find freshly brewed coffee from Irish Cork based roasters Badger & Dodo, as well as a selection of homemade scones and treats. Pop into our store at Cillin Hill where our experienced staff are on hand to help with advice on the right feed for your horse, what you need to get when bringing home a new puppy - and everything in between. A beautiful Boutique in the heart of Kilkenny City. Opened in 2005 we sell a range of clothing, with headpieces and jewellery to match. Unique place where you Create Your Own Signature Scent. Our workshops are for creative, design sensitive people. You’ll find the perfect perfume in our collection; including the hottest brands! BizLocator Kilkenny can help you and your friends discover the perfect adventure to embark upon, world class dinning experiences, bargain shopping outlets and discounts. Founded in August 2014 theBizlocator.ie website and smartphone app are your online directory. Bringing you up to date information on businesses in your area and beyond. The Design & Crafts Council of Ireland (DCCoI) is the national agency for the commercial development of Irish designers and makers, stimulating innovation, championing design thinking and informing Government policy. DCCoI's activities are funded by the Department of Business, Enterprise and Innovation via Enterprise Ireland. Frank is known to many for once being the topic of conversation at a lunch in Buckingham Palace and to others for throwing an academy award winning actor out of Kilkenny Castle… now that's impressive!! Frank Kavanagh is without a doubt Kilkenny's NO.1 Fan and certainly one of the most familiar faces of Kilkenny, known to many as one of Kilkenny's longest serving tour guides. Story telling for Frank is about connecting to other people and helping people to see what you see. Frank's passionate and friendly tours of Kilkenny Castle and the surrounding historic Kilkenny sites incorporates history, culture and humour with his own personal tales and ghost stories. Franks true character and personality shines with each and every step he takes through the Medieval capital of Ireland, making him a household name to the people of Kilkenny…..
Mackdonald Language Academy (m.l.a.) is an ACELS and MEI accredited and independent English language school in Kilkenny. English courses are available to learners of all ages, on a year-round basis. Students do not only improve their English, they also get a very good impression of the cultural and natural beauty of Ireland. During the summer months, m.l.a. are specialized in offering 'all inclusive' holiday courses for kids and teenagers in Kilkenny city. Everything is included in the one price: English lessons in small classes, full board host family accommodation, airport transfers (from/to Dublin DUB), afternoon and evening activities, many cultural trips and excursions & sports. For more than four decades Kilkenny Storyteller Jim Maher has entertained numerous visitors to Ireland’s Ancient East, from North America, Canada and from many other far flung places around the globe, with his humorous stories of a Country and lifestyle that many may not now recognise. He takes us back in time to a world of storytelling, which has been handed down over the centuries in a tradition that stretches back to the origins of theatre itself. St Mary’s is the cathedral church of the Roman Catholic Diocese of Ossory. It is situated on James’s Street, Kilkenny, Ireland. Saint Mary’s was designed by William Deane Butler (c.1794-1857). He was chosen by Bishop William Kinsella (1793-1845) who instigated the building of St. Mary’s in February 1842. Work began in April 1843 and finished in 1857. On Sunday 4 October 1857, St. Mary’s had its grand opening, which consisted of a two-and-three-quarter hour ceremony that began at 6.15am. The cost of the building is estimated to have been £25,000. Kilkenny is steeped in theatrical history. From the time the Duke of Ormonde (1698) brought the first Strollers Theatre group to Kilkenny, to the present day, Kilkenny has been synonymous with the world of theatre. Located in the heart of Kilkenny City, the Watergate Theatre have been keeping audiences entertained since 1993 with local, national and international productions, live music, dance, comedy and much more. Welcome to Belle Kilkenny! We put and lot of time into sourcing our stock for our much appreciated and valued customers, travelling to international shows in Milan and London every season. Some of the shoe brands we stock are: Sam Edelman, Ash, Ted Baker, Pedro Miralles, Wonders, Bruno Premi, Mjus, Amy Huberman. Handbags ranges include Cocinelle and Olga Berg. The Blackbird Gallery has been established in Kilkenny since 2005. It is now located in Rothe House 16 Parliament street, one of Ireland's finest medieval buildings, showcasing the very best of Irish and International contemporary art. The Blackbird Gallery is Ireland's first stop for the very best selection of contemporary fine art, prints, ceramics and wonderful original gifts. Housed in its new location Rothe House, the gallery spans two floors of engaging work. The gallery is Kilkenny's only permanent commercial space and has built its reputation on great taste and fantastic customer service. Artisan butcher and delicatessen shop run by Lada Navratil at Newpark Shopping Centre, KK selling top quality meats, cheese, cold meat platters, local produce and many more..
Frank Wall Mans shop is located on High St renowned throughout the south east for quality value and exceptional personal service. Founded in 1969 by Patrick Clancy Kilkenny Crystal is Ireland’s oldest Family-owned Crystal Studio Workshop. Patrick was the first Irish born crystal designer and is regarded as the most important due to the iconic original designs he created. Miroslav Havel the head designer at Waterford visited the studio in Callan to meet Patrick and see his work. The range of Castle shaped items that Patrick pioneered became the symbol of Kilkenny Crystal and Patrick's signature piece. Our use of traditional techniques means that our crystal is likened to antique quality. Each piece is deeply cut by hand and then polished with care to retain a fine finish. We create many original designs and unusual pieces and due to the limited number of pieces produced each year many items become valuable collectors items. Kilkenny Car Boot Sale is a very large event which is held every Sunday at Castleinch Venue. You’ll find traders of all kinds, selling everything you can imagine! Some traders come from as far afield as West Cork and even Co. Mayo! That’s quite a commitment, but it shows how popular and important the Car Boot Sale has become. Some traders depend on the Car Boot Sale for their income, others do it because they love to have the craic and meet people. large retail department store in Kilkenny specialising in Footwear, Outdoor and Luggage with Camping in the summer and Ski in the winter. It also offers a fantastic selection to visitors in Casual Clothing, Sports House & Home, Garden Furniture, Barbeques, Crafts and Childrens clothing. Padmore & Barnes offers a unique blend of quality product in world famous brands such as Ecco, Josef Seibal, Lowa Alpine, Columbia, Samsonite, Nike, Vango and Musto to name but a few. The store is open 7 days a week and has a large car park. Andrea and Siobhan, who always had a natural love and flair for the fashion world, own one of Kilkenny’s Premier boutiques - bringing you alluring signature collections from Paris, Milan, New York and all the fashion capitals of the world. This stunning boutique is a well known shopping experience that focuses on individuality, allowing every lady to express their own sense of style. It is also a one stop shop for all occasions from casual chic to a day at the races, weddings, confirmations etc. And it does not stop there… The girls at Peaches boutique also offer a personal styling service and after hour opening available on request. Nestled at the foot of the old Ballykeeffe Quarry, Ballykeeffe Amphitheatre brings the authentic atmosphere of an open-air Italian theatre to the quaint Kilkenny countryside. The once-bustling slate quarry had lain abandoned and in disarray for many years, with most indifferent to its very existence. However, in the late 1990s, a team of dedicated volunteers recognised a unique potential which was brought to fruition through hard work and perseverance, and in the year 2000 the amphitheatre proudly played host to the first of many performances – the Irish Defence Forces band & the Dublin Male Welsh Voice Choir. Ballybur Castle is a five storey 16th century towerhouse, 8km south of the medieval city of Kilkenny. The castle has been restored to it's former authentic glory using the same techniques and materials as the original 16th century builders. The rooms are larger and the stairs wider than in most of the known square towerhouses. With external dimensions of 38x30 feet, rising to a height of 65 feet, a surprising feature of Ballybur Castle is the light, though narrow, the windows have deep angled sills which deflect the light very efficiently. Ballybur Castle is now a luxury self-catering holiday home where you can have an unforgettable stay. Available for long or short term lettings, modern comforts have been incorporated without detracting from the charm and simple grandeur of this ancient dewlling. All beds in Ballybur Castle have orthopedia matresses, electric blankets, duvets with covers and feathered cushions, bedrooms also have victorian cast iron radiators installed. The castle comfortably sleeps eight people. The kitchen is fitted with a sink, oven grill, microwave and of course crockery, cutlery, glasses, etc. Full cleaning and catering services can be arranged. The Hub at Cillin Hill is a premier multi-purpose venue in the South East. Located in a commanding roadside position on the outskirts of thriving Kilkenny City, The Hub is located within Cillin Hill (visit www.cillinhill.com). The Hub is the ideal venue for exhibitions, conferences, comedy gigs, product launches, car/machinery shows, gala dinners, concerts and much more..
Shankill Castle is a unique family home often described as a living museum. It was first built as a Butler towerhouse near the ruins of a pre-reformation church. In 1708 it was rebuilt and set in a formal landscape, vista to the front and canal to the rear, by Peter Aylward. In the 19th century it was enlarged and castellated, serpentine bays added to the canal and an unusual polyhedral sundial given pride of place on a sunken lawn. The stable yard and castellated entrance to the demesne are attributed to Daniel Robertson. Nowadays visitors can take a guided tour of the castle and a walk around the gardens. Visit in spring for snowdrops, daffodils and tulips, summer for the meadows, art exhibitions and sunshine walks, autumn for the ScareFest, ghost tours and wand and quill making, winter for drawing classes and winter workshops. The BallyKeefe Distillery story is extremely rare and unique with it being the only distillery in Ireland that carries a culture of sustainability and a blue print for the environment. This state of the art new distillery at Ballykeefe is the first Whiskey distillery to operate in Kilkenny in over 200 years. It revives an Irish tradition of family farm distilleries lost for centuries. There is a huge emphasis on being eco-friendly, low carbon footprint and 100% sustainable, with the pot ale and spent grains fed to the cattle on the farm. This is a one of a kind in Ireland where everything from Grain to Glass is done on the family farm with no off-farm waste. Founded in Kilkenny in 1991, Barnstorm Theatre Company creates and presents high-standard, professional theatre for children and young people. It is also a resource organisation, using theatre & drama as a participative, personal development process for youth and local community groups, through its Youth Theatre, Adult Theatre Club and a community, schools and youth Outreach programme. The Barn is Barnstorm's own 80-seater black box venue. It is the home venue for our professional theatre for children aged 4-7; for the Adult Theatre Clubs and the Youth Theatre. The Barn features annually as a Kilkenny Arts Festival venue. Barnstorm's plays for children aged 8+ are performed in the nearby Watergate Theatre. Inspiring culture seekers since 1943, the Butler Gallery is a not-for-profit organisation located in the former kitchens of Kilkenny Castle. The gallery is free of charge and open to the public seven days a week, all year round. Butler Gallery actively promotes and affirms the value of the arts to society through a diverse programme of exhibitions, a significant permanent collection, and active and innovative education initiatives for family, school, youth and adult audiences. They offer their visitors excellent contemporary exhibitions, which reflect the constantly changing nature of visual art practice. Providing a platform for the best of Irish art today and demonstrating a strong commitment to presenting the work of artists of international repute, they aim to stimulate, inspire and challenge their audience. Kilkenny-based Cartoon Saloon is an Academy Award®-nominated animation studio formed by Paul Young, Tomm Moore and Nora Twomey in 1999. From award-winning short films such as From Darkness, Cúilín Dualach/Backwards Boy, Old Fangs, The Ledge End Of Phil, and Somewhere Down the Line, to TV series like Skunk FU! and now Puffin Rock (launched on RTEjr in Jan 2015 and to be broadcast worldwide later this year), Cartoon Saloon has carved a special place in the international animation industry. Comhaltas Ceoltóirí Éireann is the largest group involved in the preservation and promotion of Irish traditional music. We’re a non-profit cultural movement with hundreds of local branches around the world, and as you can read in our history we’ve been working for the cause of Irish music since the middle of the last century (1951 to be precise). Our efforts continue with increasing zeal as the movement launches itself into the 21st century. The Comhaltas movement is organised into local branches, where most activities and classes take place. Branches are organised into regions (counties, in Ireland), and regions into provinces. Comhaltas Regional Resource Centres also provide additional services and facilities in their areas. Founded in 1987, they provide music and sean-nós dance classes each Thursday evening from 7 p.m. at St. John’s Senior School, Kilkenny from September to May. Summer Entertainment Show with Ceoltoiri Kilkenny at Kilkenny Castle each Wednesday evening from June - August. And they organise many tours abroad with their junior and senior performing groups and music class pupils. Creamery House is an 18th century Georgian house located in the centre of the town of Castlecomer in County Kilkenny. Originally built in approx.1750 by the Wandesforde family who lived on the eastern side of the Deen river which flows through the town. Creamery House became dilapidated over the years but has now been extensively restored. Visit the unique Heritage Site in Jerpoint Park and enjoy a guided tour of the footprints of a deserted 12th Century Medieval town dating back to 1200AD. Your local guide will delve into the history and importance of this once thriving town called Newtown Jerpoint. Take a step back in time and explore the standing remains of St. Nicholas's Church, the domestic tower and the stunning 14th Century Medieval Tomb. Jerpoint Park also offers Angling for wild Salmon and wild brown trout or why not try something completely unique and come watch our Sheep Dog demonstration, showcasing man and dog working together as one. This truly unique festival is set in the idyllic grounds of Gowran Park with built in facilities, a giant dance floor, easy parking and 10 minutes from the motorway this venue has it all..Join us for a day of fun, music and dance with some of the best Country musicians in Ireland. There’s something for everyone with activities for the kids, state of the art facilities ,dancing, onsite bars and restaurants and entertained by some of the best country musicians in Ireland this is the place to be on July 1st 2018 GAA fans attending this year will be able to view the Munster & Leinster Finals on the many tv screens around the racecourse so come along and enjoy the music while keeping track of the games. The Iverk show, The oldest show in Ireland, is a one day traditional yet modern. Now in its 188th year the Iverk show is a family / community based event hosting All Ireland championship finals and qualifiers for other finals. There are local classes for horses, sheep, crafts, cattle, flowers, poultry, dogs, fruit, cakes, vegetables, farm produce, arts, jams and honey. There are classes are for adults and children with special sections for primary and secondary schools. There is a competition for the ‘Most Appropriately Dressed Lady’ and a bonny baby competition as well as a fashion show. A display of vintage cars, tractors and machinery with working demonstrations is one of the highlights. The 100’s of trade stands from large outdoor exhibits to small indoor industries & artisan food stands attracts local and national food producers. A garden and entertainment section has been developed in the past couple of years. The show has a total prize fund of almost €30,000. The Rockfall Festival is an annual music festival, which takes on the October Bank Holiday weekend. This festival had meagre beginnings when it started off in 1989 with just 5 bands! The festival has now transformed to become one of the top music festivals in the south east of Ireland and features over 30 acts playing in music venues all over the city. Not only does the Rockfall Festival showcase young up and coming talent in Ireland but all the performers at the festival perform free of charge with all money raised going to charity. Since 1998 the festival has attracted some of the finest names in the Americana/Roots canon, including Calexico, Giant Sand, Ryan Adams, Alejandro Escovedo, Guy Clark, Chuck Prophet, Ray LaMontagne, Richmond Fontaine, Rodney Crowell, Phosphorescent, Sturgill Simpson and Alabama Shakes. Audiences wind their way through the medieval streets sampling the huge range of music in the 30 plus venues, hosting over 40 Irish and international acts, with over 90 ticketed and free shows from early afternoon until late into the night. There’s a mixture of old and new acts on the free pub gig trail and all styles are catered for, from swing to bluegrass, rockabilly to cajun, folk, blues and beyond. The clean hop bitterness and subtle fruit flavours from our cask ale yeast, add balance, interest and enhanced drinkability to create a smooth, balanced classic ale. Brewed by local experts, by hand, in small batches, with enormous heart and the finest locally sourced ingredients Our first beer from the revived Sullivan’s Brewing Company is Maltings Red Ale (4% abv). It’s a refreshingly balanced, ruby tinted classic Irish ale with a depth of malt flavour giving rich biscuit and gentle caramel notes. Traditionally brewed with only Kilkenny-grown ale malt, including three special darker malts and three varieties of hop. Fermented and matured with cask ale yeast and coupled with our no-rush brewing produces a smooth balanced classic ale. Kiltorcan Raceway is one of Ireland's best go-kart circuit's and is known to be challenging, exhillarating and fun, while still being an extremely safe track. So whether you are coming as an individual, group of friends, on a corporate team building day or that all important fun filled hen or stag party the team at Kiltorcan Raceway will make sure your time here is packed with excitement and fun while ensuring your safety at all times. If you are new to go-kart racing or are an experienced driver our state of the art kart's paired with our outdoor super smooth 1000 metre, all weather, floodlit go-kart track will offer you the buzz of a lifetime. 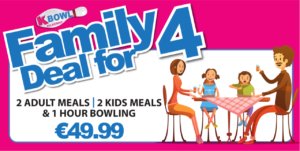 Ten Pin Bowling is a family activity that can be enjoyed by all ages from children as young as 3 years of age. 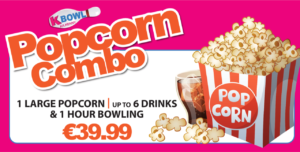 At KBowl you can experience state of the art computerized scoring systems while relaxing on leather sofas enjoying a selection of refreshments. 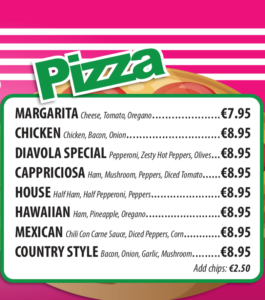 We now serve food. 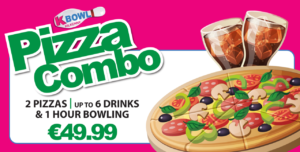 Why not have some pizza and chips with your bowling, kids meals and much more. Always popular is the KZone area with air hockey and more. All lanes are fully accessible to wheelchair users and are fitted with side bumpers to ensure the best chance of a STRIKE every time!! This one of a kind ghost tour takes you through the medieval capital of Ireland. Kilkenny with its narrow cobbled lanes, remnants of its city walls and with its mystic charm, it should be no surprise that Kilkenny is bursting with tales of the paranormal. Its people have told stories for generations, handed down to become far more than hearsay. Kilkenny’s ghostly tales all have one very important thing in common they are all based around fact and arise from genuine historic tragedies. Nowlan Park, home to Kilkenny's famed black and amber stripes since the 1930’s. Kilkenny GAA (Cumann Luthchleas Gael, Cill Chainnigh) is the largest sporting organisation in the county. Community based, it organises Hurling, Football, Camogie, Handball and Ladies Football activities for all age groups while providing a comfortable and modern setting for spectators. Recent renovations have made room for global stars to embark upon Kilkenny to perform under the roof of Nowlan Park and have provided the opportunity for corporate guests to host meetings and events. Sit back and relax on our custom built train and let us bring the wonderful and historic sights of Kilkenny to you. It leaves the Kilkenny Castle at half past the hour, every hour with first departure at 9.30am to final departure at 6.30pm. Sit back and relax on our custom built train and let us bring the wonderful and historic sights of Kilkenny to you. Meander along the picturesque lanes and streets of Kilkenny and let us take you on a nostalgic journey reminiscent of the gone steam train. Kilkenny Airsoft is the first fully automated airsoft indoor shooting range in the whole of Ireland. The facilities are there to cater for everyone, from experienced shooters to those who have never held a gun before. 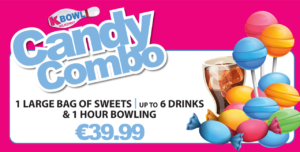 Special packages are on offer for families (all participants must be 8 or older), birthday parties and even hen and stag parties.Drinks and food are of course available, and the location in Wallslough Village is both convenient – just 3km from Kilkenny city centre – and beautiful. People are travelling there from all over the country to experience the range’s super-fun activities. Come explore and enjoy some fun at the farm or stay in our campsite full of mod cons at the delightfully idyllic Nore Valley. Take time out and stroll around the energetic farm while the children play in an interactive and relaxed setting. Bottle feed lambs or goats and feed the ducks and turkeys as well as learning a great deal of knowledges about your Irish heritage of farming. Relax with a cup of tea and home baked scones, biscuits and plenty of other delicious treats while the boys rip up the tracks on our Go-Karting race course. With endless things to do at Nore Valley, there is something for the whole family. The Playstation offers a fun, spacious, safe and clean children's entertainment play centre in Kilkenny. We have facilities for toddlers and children off all ages. Come and join us for plenty of fun - & coffee and treats for the adults! Totally worthwhile tour, a history of Kilkenny through Cromwells siege to the famine and a concise history of the remarkable architecture. Excellent facilities to suit every standard of rider. Indoor and outdoor arenas. Cross Country, Lessons, Riding Holidays, and Children's Summer Camps. Coffee Shop. Warrington Top Flight Equestrian Centre run by the Moloney family who have been involved in all aspects of the horse industry for many years, and have competed internationally in showjumping and eventing. The centre has excellent facilities including dressage, trekking and cross country, Members of the club compete in both national and international events. The Riding Club provides tuition for students at all levels. For Fitness, for Leisure, for Family Fun - The Watershed is THE sports and leisure facility in Kilkenny and one of Ireland's finest. Non-members are welcome to the enjoy the extensively equipped Pool and Fitness Gym facilities where you can take a dip in the 25m Fina Standard Swimming Pool and follow this with a visit to the Health Suite with Sauna, Steam Room and Jacuzzi. Or perhaps work out for fitness or pleasure in our Gym where an experienced staff member will be on hand to offer instruction and advice. Young children will love the Toddler Fun Pool with aqua play features and The Watershed also run a popular Multi-Activity Camp programme specially developed for children of primary school age, throughout the school holiday periods - the ideal way to keep your children active and entertained while you take part in some local retail therapy or sightseeing. At Wild Summits we provide fun and exciting adventure activities for all ages. We have a focus on Rock Climbing and Hill Walking with all our guides being fully qualified in the activities run. Your Private Falconry Experience will begin with an introduction to the Hawk you are about to fly. Our falconer will brief you on a 5000 year history of the ancient art of falconry. You will set off on a walk as your hawk follows you, watching your every move. Your falconer will teach you how to recall the hawk from the tree tops to your gloved hand and send him back to the trees again. During the walk, your falconer will work with you to ensure you get some amazing photo and video opportunities as you call the hawk several times to your gloved hand. To finish up your falconry experience you will be introduced to one or possibly two of our owls. As you fly the owl, your falconer will teach you about the species and their habitat. The owls are super cute, very photogenic and they do love an owl selfie! Extended experiences will involve simulated hunting, weather dependent. Suitable footwear and long sleeved tops are advisable. Children must be over 7 years of age to participate. We provide a unique sporting experience giving you an insight into the world's Oldest (3000 yrs) and fastest field game in the true Home Of Hurling Champions - Kilkenny. Join us for two Hours of Hurling fun in the Home of the Famous Kilkenny Cats.